If you want to find out the question how to use Python to start and answering critical questions of your data, then this book Python Machine Learning is exactly for you. If you want to get started from scratch or want to extend your data science knowledge, then this is an essential and valuable resource. You will learn how to access the world of machine learning and demonstrates why Python is one of the world leading data science languages. This book helps you to ask better questions of data, or need to improve and extend the capabilities of your machine learning systems. This book covering a wide range of powerful Python libraries, including Scikit-learn, Theano, and Keras, and featuring guidance and tips on everything from sentimental analysis to neural networks. You'll find out how to unlock trends and patterns in business-critical data with some of the most popular and important techniques for building sophisticated algorithms and statistical models. You will learn how to break down complex ideas into simple and actionable results. You'll learn how statistical and mathematical concepts relate to training artificial neural networks, probability theory, deep learning and much more. 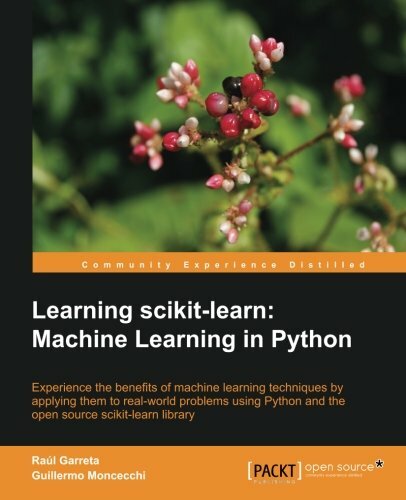 Learning scikit-learn: Machine Learning in Python book starts with a brief introduction to the core concepts of machine learning with a simple example. Then, using real-world applications and advanced features, it takes a deep dive into the various machine learning techniques. You will learn how to incorporate machine learning in your applications. The book also combines an introduction to some of the main concepts and methods in machine learning with the practical hands-on example. You will learn how to evaluate your results and apply advanced techniques for preprocessing data and selecting the best set of features and the best methods for each problem. You will learn how to set up scikit-learn inside your Python environment. This book also includes how to classify objects (from documents to human faces and flower species) based on some of their features, using a variety of methods from Support Vector Machines. This book uses Decision Trees to explain the main causes of certain phenomenon such as the Titanic passengers survival. You will learn how to predict house prices using regression techniques. You will learn how to select the best parameters for your models using model selection. You will also learn how to improve the way for building your models using parallelization techniques. Machine learning doesn't have to be complex and highly specialized. This book shows you how Python makes this technology more accessible to a much wider audience, using methods that are simpler, more effective, and well tested without requiring an extensive background in math or statistics. Machine Learning in Python shows you how to successfully analyze data using only two core machine learning algorithms, and how to apply those using Python. This book has the ability to provide you full descriptions of the mechanisms at work, and the examples that illustrate the machinery with specific, hackable code. You will learn a core set of Python programming techniques, various methods of building predictive models, and how to measure the performance of each model to ensure that the right one is used. You will learn how to predict outcomes using linear and ensemble algorithm families. You will learn how to build predictive models that solve a range of simple and complex problems. 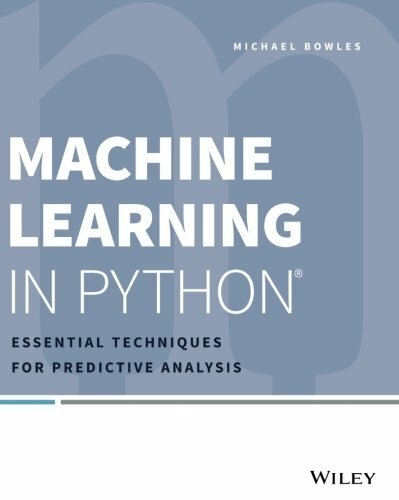 The book covering how to apply core machine learning algorithms using Python. Using sample code directly to build custom solutions. 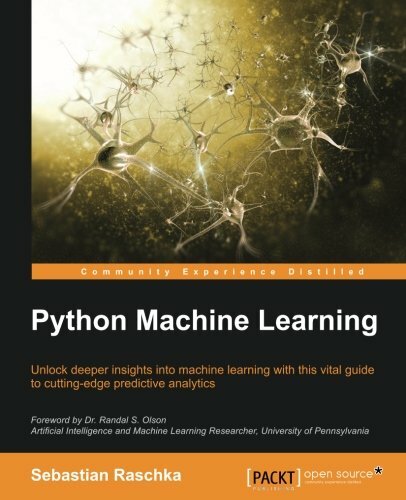 Featuring a wealth of real-world examples, this book provides you with an accessible route into Python machine learning. You will learn the Iris dataset and find out how to build complex classifiers, and get to grips with clustering through practical examples that deliver complex ideas with clarity. Learn how to create machine learning algorithms using the flexibility of Python. Get to grips with scikit-learn and other Python scientific libraries that support machine learning projects. You will learn how to employ computer vision using methods for image processing that will help you uncover patterns and trends in your data. You will learn topic modeling and build a topic model for Wikipedia. Analyze Twitter data using sentimental analysis. Get to grips with classification and regression with real-world examples. 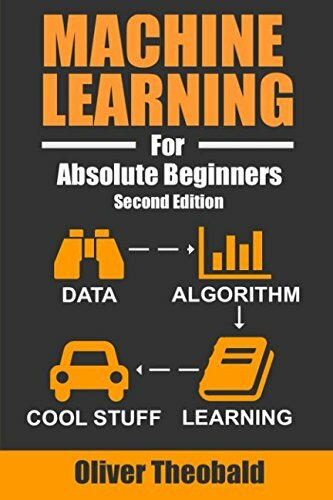 Machine Learning for Absolute Beginners Second Edition has been written and designed for absolute beginners. 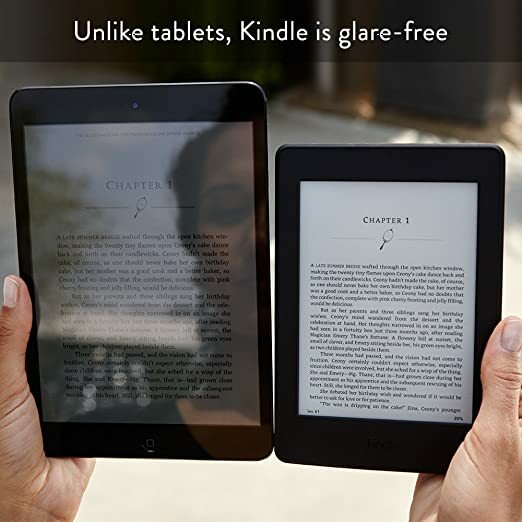 This means plain-English explanations and no coding experience required. Where core algorithms are introduced, clear explanations and visual examples are added to make it easy and engaging to follow along at home. This major new edition features many topics not covered in the First Edition, including Cross Validation, Data Scrubbing and Ensemble Modeling. Please note that this book is not a sequel to the First Edition, but rather a restructured and revamped version of the First Edition. Readers of the First Edition should not feel compelled to purchase this Second Edition. Disclaimer: If you have passed the 'beginner' stage in your study of machine learning and are ready to tackle coding and deep learning, you would be well served with a long-format textbook. If, however, you are yet to reach that Lion King moment—as a fully grown Simba looking over the Pride Lands of Africa—then this is the book to gently hoist you up and offer you a clear lay of the land. Q: Do I need programming experience to complete this book? A: This book is designed for absolute beginners, so no programming experience is required. 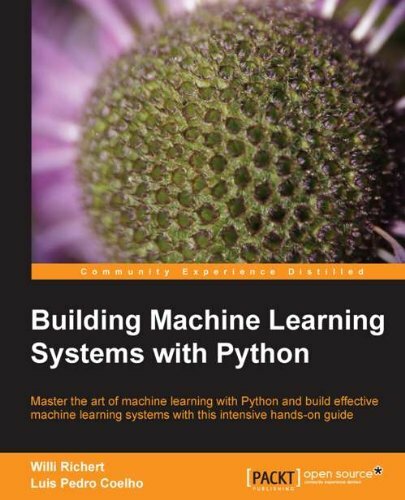 However, two of the later chapters introduce Python to demonstrate an actual machine learning model, so you will see programming language used in this book. Q: I have already purchased the First Edition of this book, should I purchase this Second Edition? A: As majority of the topics from the First Edition are covered in the Second Edition, you may be better served reading a more advanced title on machine learning.